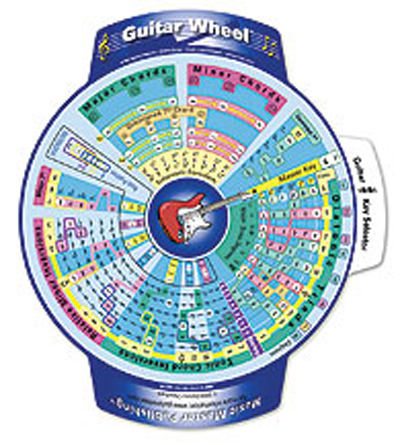 The Guitar Wheel is a visual two-sided music theory tool for guitar and piano, covering every musical key. The Guitar Wheel contains a book's worth of music theory, while still fitting in your guitar case. The curved guitar neck design allows for easy visualization of theory on the guitar. This is an excellent teaching aid for schools, colleges, and universities. Instructions include Spanish and German translations.